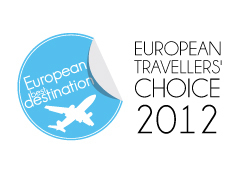 20 selected towns competed for the prestigious title of Best European Destination 2012. 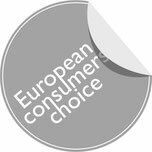 After a three weeks’ period of online voting Porto is elected the Best European Destination 2012 and won the title ahead of 19 big european cities. Vienna, Dubrovnik, Prague, Brussels, Berlin, Budapest, Lisbon, Florence and Edinburgh are the next best destinations for a holiday or city-trip in 2012. Porto? The best place to travel in Europe! Prepare to be astonished and enchanted by the sheer amount of resources available to you in Porto. Whether you seek authenticity and follow the scent of history throughout the town or whether you are drawn to all things new in this cosmopolitan city, Porto is waiting for you. Porto is different: think port wine and good food, a historical centre so amazing that UNESCO has designated it World Cultural Heritage; think museums, parks, gardens, bars, fashion boutiques, think majesty, think the river Douro, think Porto. Come. Luxurious accommodation in Vienna almost invariably means living at the heart of the city. You’ll find exclusive hotels especially along the Ring, which, after all, is where most of the elegant former palaces are. 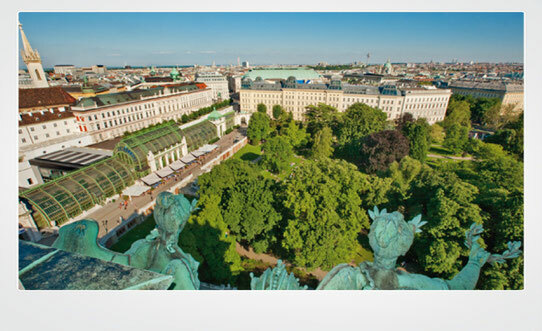 The first district is home to a wealth of five-star accommodations including the Imperial, Grand Hotel, Bristol, Sacher, Palais Coburg Residenz and Marriott Vienna. At the end of 2010 the Luxushotel Sofitel Vienna Stephansdom opened in a spectacular high-rise designed by star French architect Jean Nouvel on the banks of the Danube Canal. 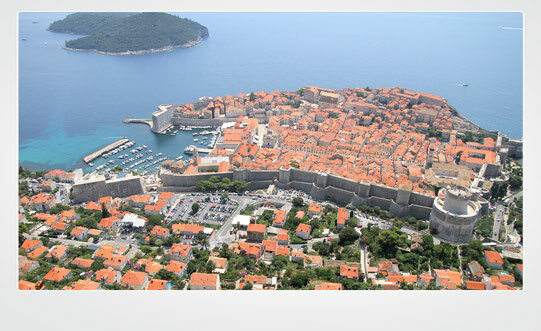 Make sure to begin your brief visit to Dubrovnik with a promenade in Stradun or Placa, the main street, while getting the first impressions of one of the Mediterraneans most beautiful cities. The astonishing city of stone is surrounded with 1,940 m long stone walls. A tour of the worlds second most frequented open-air museum will definitely take your breath away. 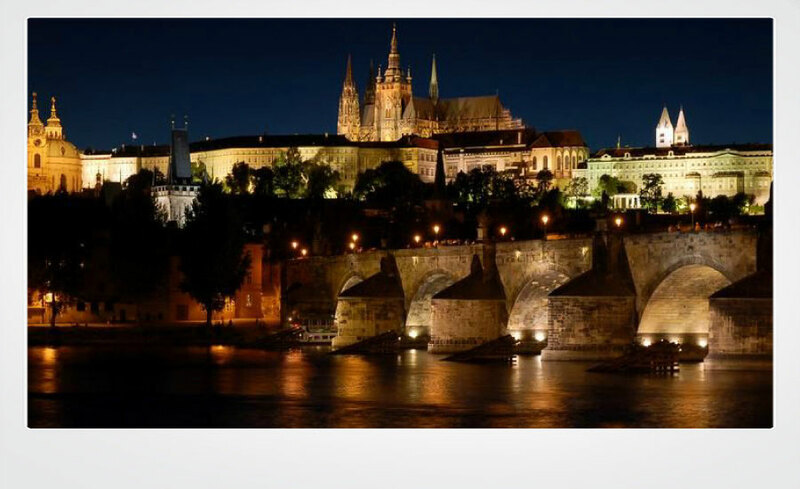 Since the Middle Ages Prague has been famous as one of the most beautiful cities of the world and has been attributed adjectives such as “golden“, “hundred-spired“, “the crown of the world“. The unique character of the city is also partly a consequence of its natural environment: Prague, similar to Rome built on seven hills, was built on nine hills along the Vltava river, which flows through the city for a distance of 31 km and forms a perfect unit with the city. 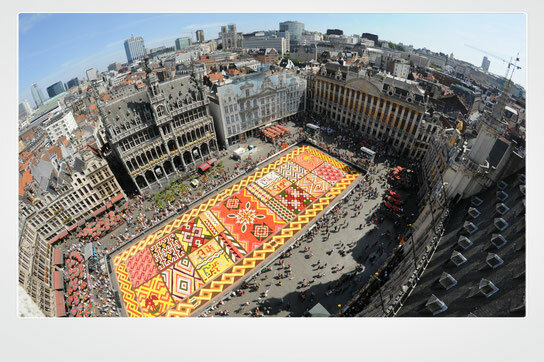 An amazing event in Brussels, one of your 10 best places to visit in Europe! There's just something about Belgium. Maybe it's the friendly & welcoming people who with three official languages still find it easy to converse in English, the 4th unofficial language. Or perhaps it's the incredible cuisine found in the vast array of restaurants where each meal seems better than the last. Brussels is multicultural, plurilingual, its population is cosmopolitan and the unexpected awaits you at every turn. No matter what time of year you visit, there's always something happening : creativity here is contagious, good food is easy to find and the mood is festive. Add a dash of humour and a pinch of self-mockery and you have the recipe for the city's legendary conviviality. Visitors to Berlin don't tend to spend much time in their hotel rooms. Not with more than 9,000 restaurants and snack bars, more than 100 theatres with performances almost every day, and three opera houses to choose from. 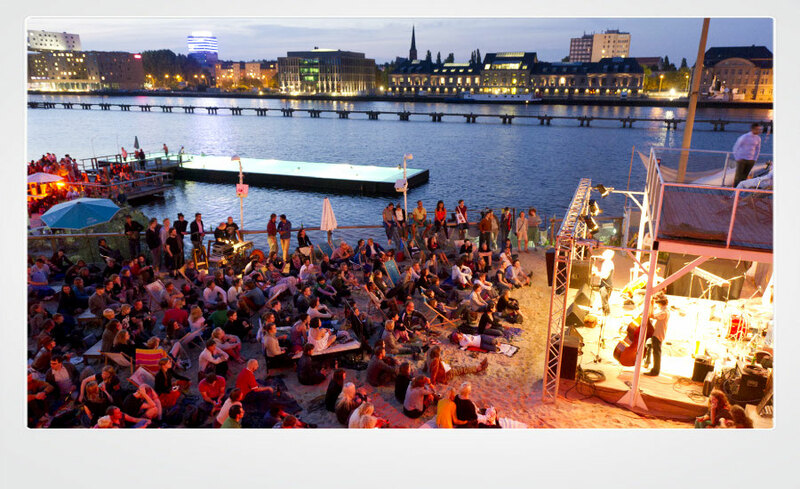 The German capital also has more than 175 museums, countless cabaret and variety theatres, and more than 100 concert venues – in Berlin there is certainly no excuse for not going out. 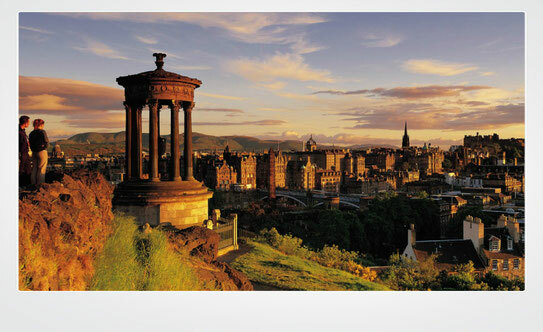 Edinburgh is surrounded by hills which are perfect for a stroll and give a great outlook. Climb Arthur’s Seat, an iconic extinct volcano in Holyrood Park, or try the easy and short route up Calton Hill, just off Princes Street. This is the site of what should have been Scotland's National Monument but the city ran out of money so the columns are all that was completed. Nelson’s Monument, in the shape of a telescope, is well worth the climb to the top. A ball at the top of its mast drops simultaneously with the firing of the One o'clock Gun from Edinburgh Castle. It is about time that Portugal gets the recognition that it deserves. Brussels in the top 5, yes! The second Portuguese city to get this award (out of 3 cities to which it was given). Congratulations! Visit the beautiful city of Porto, and the neighbouring Braga and Guimarães, amongst many other unique cities and towns in the region! Congratulations Porto!! If you come to visit our beautiful city and still don´t have reservation made please take a look to our Hostel down town at Historical Centre designated World Cultural Heritage by UNESCO: www.tattvadesignhostel.com. You will love it!! Vienna 2nd! I will comme this summer. The only country with 2 cities in top 10. Just love my PORTO! Definitely worth to visit! Congratulations to my beloved home City, Porto! Before you come, please visit this my website, where you can find almost every interessant places of Porto. We invite you to visit Porto. You´ll enjoy it!! We are so very glad to welcome everyone who wants to visit Porto! Best destination for 2012!! The beautiful Porto and your best choice to stay is wine hostel. A fantastic hostel located in the city centre next to the Clerigo´s Tower, with a great view to the Cordoria garden. We invite to visit Castelo de Paiva also. And other's places in Douro River. Vienna is the European city with the highest quality of living, I think it's a nice ranking! O Porto é a cidade que melhor recebe, a cidade onde melhor se come e a cidade com a melhor populaça do MUNDO. Always in my heart Porto. Parabéns! Portugal rocks!!! And for those who intend to come to Porto here is my suggestion for a day well spent in Oporto <a href="http://www.all-about-portugal.com/to-visit/to-visit-north/one-day-in-oporto/">one day in Oporto</a>. Fico feliz de saber que O Porto esta em primeiro lugar. Eu tive a oportunidade de conhecer bem e realmente é lindo. Porto is a city to inspire.the place where douro river and atlantic sea come together. Come and make your senses fly, in every possible way. it's perfect. i recomend you to take the boat tour upstream, from where they keep the wine in barrels up to the vineyards... it's so beautiful. Enjoy the food,the wine,the weather and the great people. we're expecting you! :) i'm so in love with my city and i miss it so much! LISBOA "the great city of the discovering world"
Porto for us, Oporto for the wonderful people that we will receive. Congratulations !!!! Yes we can !! Yes we WIN !!! Thanks for the next visitors. How commitement is to offer YOU the best. Come and see. Thanks for having voted in my town. PORTO, besides all good things already described,has a great history ( the reason why we called " Invicta " and a mix of aristocracy with common people. We are very friendly, sincere, hard-working, loyal, and also good artisans. Our people is really very open, social and genuine. I shall say, please come and and confirm by yourself. Aerlichen Stadt VIENA. Sie ist sehr schone!. Porto is the best city to visit, but the best beaches of Europe are in Algarve. What an impressive list and so accurate. These ARE the best places in Europe! Visit Porto and enjoy this charming city knowing all the coolest spots to know. Go to www.oportocool.wordpress.com and discover the coolest restaurants, cafés and shops, the coolest places to stay and to visit, the best events in town, all for you to be where the action really happens. Welcome! Nosso Portugal é fabuloso - como atestam Porto e Lisboa . Só lamento que tenhamos governantes que de quando em vez ( e ultimamente com frequencia descarada) nos levem à ruína e passem a viver a "grande e à Francesa"...como diz o nosso Povo ! Porto is a very cool city to visit and there is a lot of new cool stores and restaurants to enjoy besides all the historic centre. Take a look at PIMMS, a new design restaurant right in the historic centre. PORTO!!!!! f.c.porto!!!! is the best thing, visit the estadio of dragao in oporto!!! Porto is a wonderful citty. Come and enjoy. Foste tu a escolhida por seres a mais Portuguesa. Pois o Porto Nobre e Leal, não é terra de fantasias! Brussels is one of the most beautiful place in Europe! I will go back there in june! And maybe in Edinburgh later, it looks beautiful too. Enhorabuena a Oporto, es una ciudad muy bonita. Las 10 ciudades del TOP 10 son dignas de ser reconocidas, pues son turísticamente atractivas. Being a Berlin native, I congratulate Porto for being the winner! I have been there several times, and have good friends in Porto - it's a wonderful city! I think that all top ten cities are worth a visit - so go ahead and explore them! Cidade Invicta cidade que deu nome a Portugal! Parabéns! Congratulations to my city: PORTO! Museums, Parks, Historic Buildings, Bridges, Wine, Food and of course... the best team in the world: FCPorto! Lisbon should be number one. I was there last year as I bagpack through the world and that is one of the most beautiful places I have ever set foot in. é um orgulho como Portuense ver o Porto receber este reconhecimento! Porto rocks!! Tenho muito orgulho em ter 2 cidades portuguesas neste concurso! Espero ganhe uma dela, pois qq uma merece! Que de belles decouvertes qui donne envie de voyager a travers notre beau continent. Merci! Porto, the best place to visit Europe! I've been in Oporto already twice and I really recommnend it. Actually, Portugal has great offers at very reasonable prices. 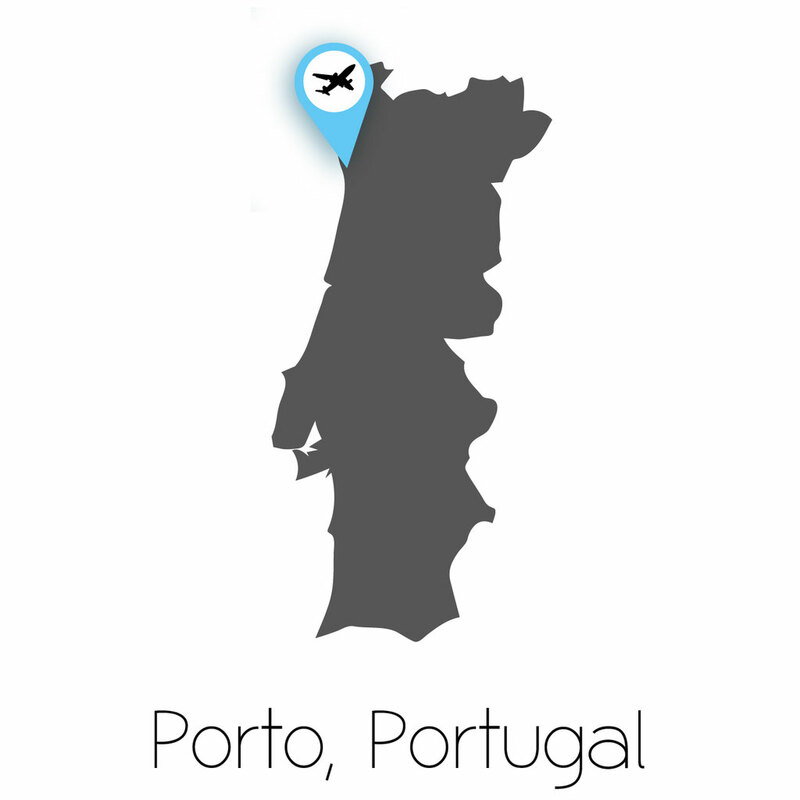 We can go from Oporto to Lisbon in less than 3 hours and then to Algarve in less than 2! Is this a Portuguese site or is just Portugal one of the very best destinations? 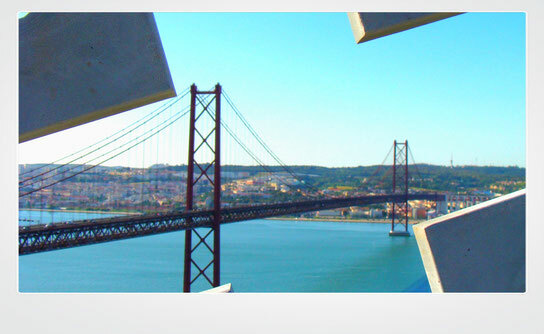 In 2010, Lisbon was also considered the best destination in Europe, meaning 2 portuguese cities in 3 years? Where is Paris and other capitals? parabéns! Estou orgulhosa de morar nesta cidade maravilhosa pela que fiquei apaixonada há 4 anos, quando vim cá de férias. Uma espanhola a morar no Porto. Paris, Rome, Barcelona, London and other wonderful destinations were in the top 20 of cities selected according Eurostat statistical data. European travelers have voted for their favorite and not necessarily for the most visited cities. Portugal é maravilhoso, Lisboa é linda, vale a pena ter como destino de férias e cultural. O clima é maravilhoso, a comida fantástica e os meios de transportes é eficientíssimo. Lisboa is the capital but PORTO is the soul of Portugal. In the city that gave its name to Portugal (and to the Port wine), you can enjoy wonderful food, taste the excelent portuguese table wines, walk along old and very typical places, be surprised by beautiful sightseeings, find simple and very friendly people, visit many historical buildings and museums,...! Just go! You'll love it! Berlin is a great city! In view of this ranking I want to visit Portugal! BRUSSELS, BELGIUM in a high position? WHY? I don't drink beer any more but I did when I went, and apart from the Grande Place, there's very little of interest, hardly anything compared to the other cities on the list, PLUS many other parts of Belgium are far nicer to visit, if one can get ones head out of ones rear end and simply take an hour's train somewhere else - complicated, huh? Excelent award for Porto, bearing in mind the high level of the competitiors. It is good to know that we are not the only that appreciate it. Porto and Lisboa are great places to visit! Friendly people, nice weather, excellent food makes me want to go back over and over again!!! omg! i had been in 4 cities only ((( so many wonderful places to visit!!!! See how beautiful is Portugal. O problema de não sermos considerados melhores mais vezes quanto a mim e já tendo viajado por várias capitais europeias, é simplesmente o facto de não preservarmos os nossos centros históricos, vão a Paris, a Madrid, a Londres, a Amesterdão etc e vão ver que é raro verem uma casa abandonada e com mau aspecto! Temos uma das melhores gastronomias do Mundo e um dos melhores, senão o melhor, clima da Europa e uma história com mais de 869 anos, sendo a 2ª nação mais velha da Europa, portanto uma série de trunfos que nem nos damos conta do quão importantes são e o problema é que não nos sabemos valer deles... arranjem o património e vamos ser um dos melhores destino turísticos da Europa! Por mais que o Porto e Lisboa ganhem prémios de melhore destinos... a verdade é que os turistas vão invariavelmente mais a Espanha, Inglaterra, França e Itália... e nós que temos preços tão baixos e uma hospitalidade tão boa em comparação com esses países estamos a uma grande distância deles da tabela, isto tem que mudar! Apostem no turismo, é a herança que os nossos antepassados nos deixaram! I wholeheartedly agree. Porto is a beautiful city with very friendly people. I would also point out that Porto, in addition to the many qualities already mentioned above, is perhaps one of the few cities where you can enjoy a river (Douro) and sea (with beaches). For this reason more, come here and enjoy! London and Rome deserve to be in this list, Edinburgh's a nice city but doesn't provide more than a few days interest. but... Much more responsability to all of us!!! All together, let's make the city much more clean!!! Gardens only with trees, grass, flowers and many, many children!!! number *85 must be English, Edinburgh is a great city!, Enjoyed it much more than London!. loads to do, could spend weeks seeping in the city!, I was almost put of Edinburgh by London people telling me its not good! haha glad I did not listen. Its a shame no Scandinavian cities.. by far the cleanest.. Thank you for this best places to travel ranking, now I just want to visit 10 new cities in Europe. Very informative article, nice places discussed in the article. I wish Bosnia made the list for once. So much negativity from the war back in 95 is taking the attention of the beautiful places the country has to offer. I personally loved it there and i think it should be given a chance. This one has me reaching for my diary and flight comparison engine! Dubrovnik, who would have thought? There are many many reasons for that!! 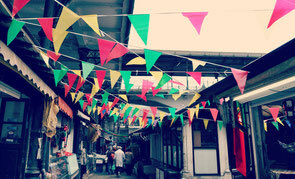 check our blog about Oporto City. hi thanks to this website http://www.eventosmania.com/ of travel events and very bgarato visit portugal. Porto, Lisboa, Leiria, Sintra, Braga, Guimarães....there are lots of Portuguese cities that are are really worth a visit...all Portugal for that matter is a top spot touristic country!! We have more palaces, museums, castles, monasteries, churches than France, Italy, Spain, Germany by comparising with the area of those countries, plus we have awesome weather and wonderful beaches. I bet Portugal will be one of the top 5 countries to visit in Europe in a couple of years. Come on ! Hoaw can we compare Vienna and Prague with budapest ?!? :))...Hungary have an annoying lobby alltime ! I suggest you to visit Italy, I fell in love with the country. There are so many places to see there, I just loved it. I found some great photos here http://travelsandliving.com/places-to-visit-in-italy/ Maybe that will help. 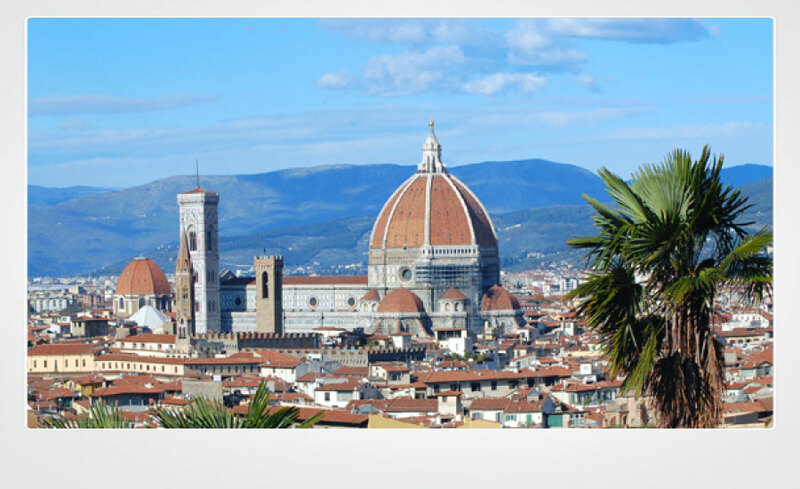 My vote also goes to Italy :) It's a beautiful country! great info,thanks,this is what i was looking. I want to visit austria,thank you for the info. Get best <a href=https://www.fliptrip.in/glimpse-of-europe>Europe Honeymoon Packages</a> in best price.